The landmark 2007 U.S. Supreme Court case, Massachusetts v. EPA, paved the way for the U.S. Environmental Protection Agency (EPA) to regulate greenhouse gases (GHGs) under the Clean Air Act (CAA). 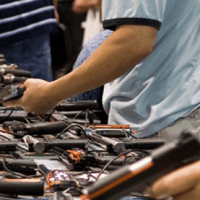 The case began in 2003 when the EPA said it lacked authority under the CAA to regulate GHGs and even if it did have that authority, that it would not set GHG standards for vehicles. A group led by 12 states sued the EPA, arguing that carbon dioxide and other GHGs should be regulated under the CAA, as these gases contribute to climate change, which can cause harm to public health and welfare. Despite the case's focus on vehicle GHG emissions, the Court's decision triggered EPA to also begin work on GHG regulations for stationary sources, including power plants. 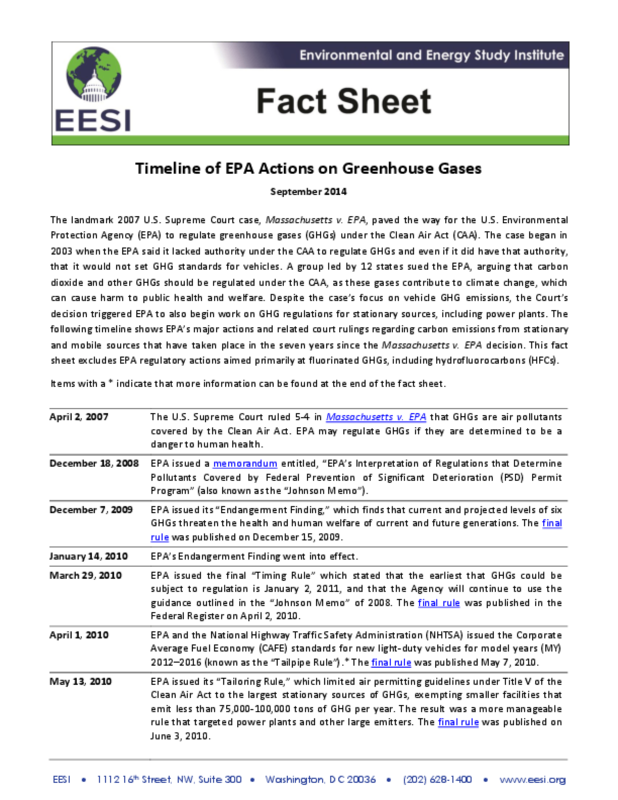 The following timeline shows EPA's major actions and related court rulings regarding carbon emissions from stationary and mobile sources that have taken place in the seven years since the Massachusetts v. EPA decision. This fact sheet excludes EPA regulatory actions aimed primarily at fluorinated GHGs, including hydrofluorocarbons (HFCs).